In recent years, the streets of Downtown Reykjavík have filled up with ambitious murals of different styles and themes. Many have become well-known landmarks that both locals and visitors seek out. Although street art has been a part of the city's culture for many years now, you could say Iceland Airwaves music festival is to "blame" for this recent trend. In 2015 & 2016 the festival paired visual artists with musicians to create "Wall poetry" in various locations. Many of these poems still live a healthy life on the walls of Reykjavík. A great way to explore the city by foot is to chase these pieces of art from Hlemmur all the way to Grandi. 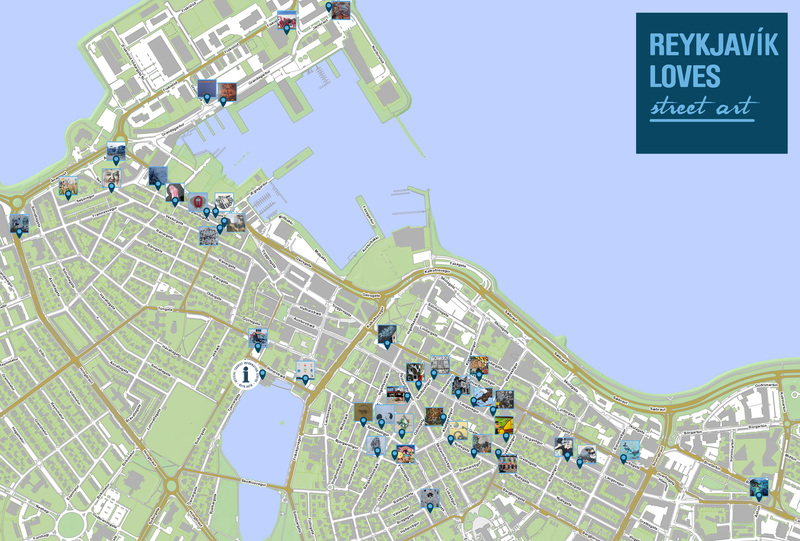 On the way, you will see many of Reykjavík's best-known landmarks and attractions. High resolution map on PDF-format.